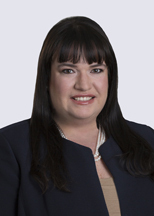 Lara Phillip is a partner in the firm’s Litigation Department and leader of the Class Actions Practice Group. She has more than 20 years experience representing clients in class actions, criminal, and civil enforcement proceedings, as well as other complex civil litigation matters. Lara has appeared before numerous state and federal courts and regulatory agencies across the country.